The Proformance Hoops Force 672 Glass in-ground basketball system makes a great addition to your home court with a regulation-size, 42-in x 72-in tempered glass backboard, a 6-in square steel pole and 3-ft of play area. The straight-pole, tension jack design features die-formed extension arms, a ground anchor and a 90-degree adjustment handle. Pole pad and edge pad are included at no extra cost! 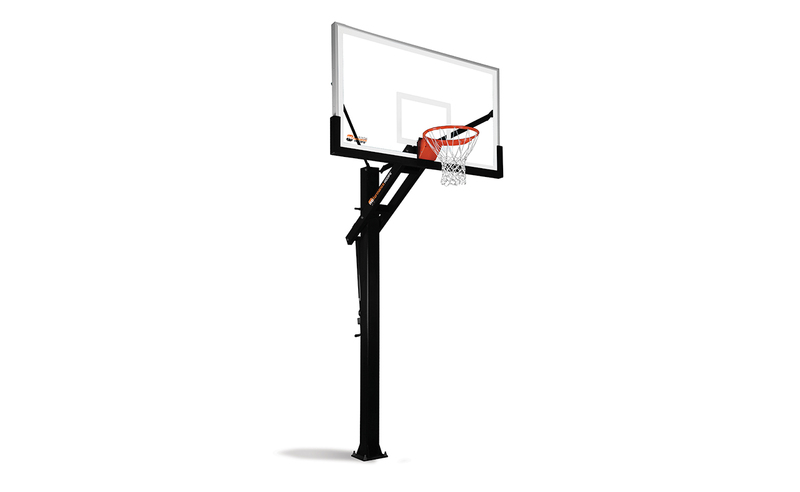 The PROformance Hoops Force 672 delivers big game performance on a regulation-size 72″ x 42″ backboard mounted on a rock-solid 6″ square pole system. 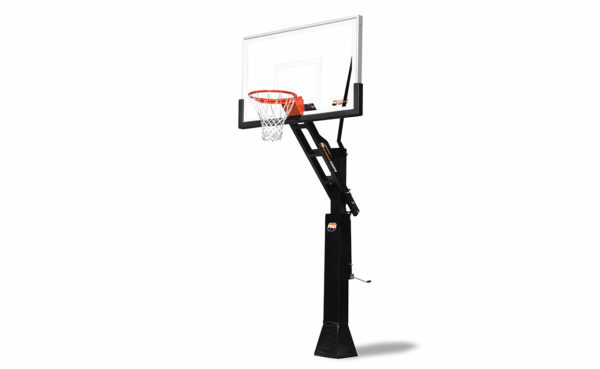 With a 3′ clearance under the goal, and with a 7′ 5″ to 10′ range of height adjustment, you will get years of challenging fun for everyone. The PROformance Hoops Force 672 really defines Play like the Pros.